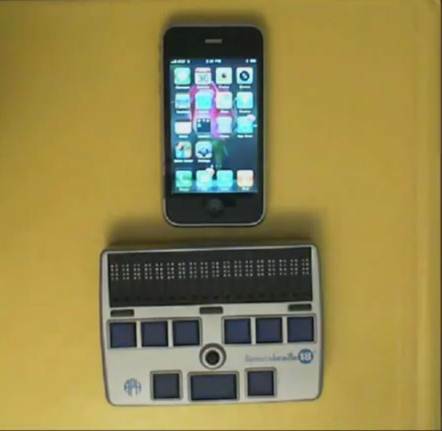 Learn how to quickly dial a number using a braille display (refreshabraille example used) and voice over. Also, learn how to make a contact and find a contact already inserted into your phone book. 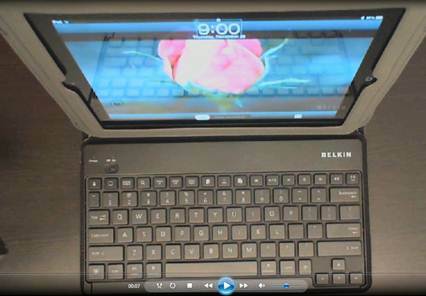 Learn how to use an iPad with Voice Over and a Bluetooth external keyboard. If you need something more tactile and easy to use, this is it. These lessons will teach you how to pair the keyboard to the iPad, then take you to Notes word processor and show you how to type and edit information. Once you learn the basics of using the rotor and commands, you will then move onto using the Internet and learning about more commands that will help you move faster. These are Voice over commands so can help you use your Mac with Voice Over too. Starting as young as third grade, students are creating PowerPoint's and using them to present information. It is an essential skill as they reach middle and High School. 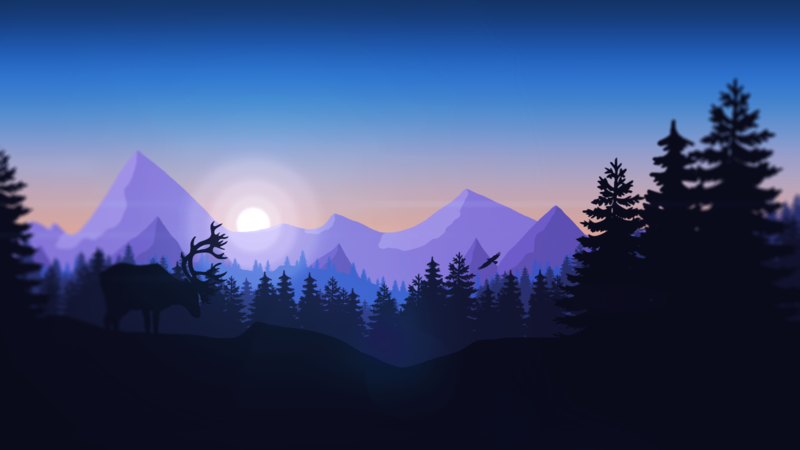 There are many tricks to creating the best background for the information needed to show your class. JAWS talking software and a PC offer wonderful options to becoming a great speller….Between the applications key and the numpad, you too can become a stellar speller. The student's braille list is brailled out using contracted and uncontracted braille. They practice brailling the words, using contractions on their braille tool, whether a brailler or adapted note taker. Then they go to the computer and braille out the list in preparation of taking the spelling test on the computer. Once they finish taking an exam, they can email the test immediately to the teacher, when the teacher collects the other students' test. It is all about the ability to finish work in the same space of time as their peers. This is a great example to show them they can do a task just as quickly. When practicing their spelling words, they type out the word, using insert+2 and use the words and characters options, so JAWS speaks every character and every word as the student types. After they type the word, I have them double check it by going to the numpad and hitting insert+5 so JAWS says the word again, then they hit insert+5 twice quickly to have the word spelled to them. If they have difficulty with the word, they will then type it out 10 times to remember the correct spelling. If the student struggles with spelling, I have them use the applications key which is a standard key on any PC keyboard, so anyone can use this feature. They type a word, hit the applications key which will give them the correct spelling (if the word is not too poorly spelled) and they arrow to the correct options. They then type out the word even more times, then double checking with their brailled spelling list. Of course, they know they cannot use this option while taking a test, but this will be a life long skill to use when writing. Being dyslexic, reading and writing have always been a struggle for me. When I learned about the applications key, I truly thought this was a gift from God and HIS grace. I teach this option to any of my students who struggle with spelling and the sighted students quickly want to use the same feature. With technology, we can enhance our abilities that are buried beneath us, but we cannot get out for one reason or another. A disability becomes an ABILITY through technology. 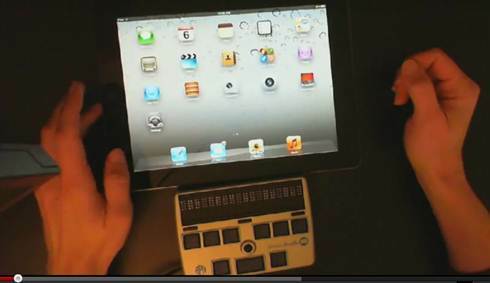 Learn the minor and major aspects of using the iPad with Voice Over and the APH Refreshabraille Braille display (commands are similar with other displays also). Learn how to set it up right out of the box then learn more advanced skills like editing in notes and using the Interent. Continue to advance your iPad and braille display skills and use Notes and edit information within the note, whether deleting, auto-correcting, selecting and unselecting information and the all important, how to undo what you just did when you make a mistake. Continue learning as you go into the Internet and learn how to easily move around pages, select and copy text then paste it into Notes or your word processor program, then edit as needed. Outlook is an incredibly easy email client to use. I start my students on Gmail, so I know they have an Internet based email where they can go anywhere and do anything they need to no matter what. They carry JAWS on a thumb drive and can plug into Grandma's or their friends' computer when on vacation and still connect to the world. Outlook needs to be configured to the computer you use, so does not offer the flexibility as an Internet based email, however, if you know you will only be on 1 or 2 computers and you want something easy to use, Outlook is it. Many business also use Outlook, so I highly suggest learning both Gmail and Outlook, just so you will be that much more viable in school, not to mention the work field. The more you know, the more possibilities you will have at your disposal. Teaching hundreds of students over the past decades has always been exciting. However, when you teach a child with exceptionality, a common “unhappy” phrase comes up over and over. “I want to be like everyone else and I do not want to be different”. I always tell them that the person who is different is the one who typically makes the biggest difference in the world. Then I go on to tell them about some of the people who are different and made life better for all around them due to their hard work and vision of “what if”. It does not take them long to figure out, that special or different can be and usually is a “great” thing, though it will take many reminders along the way of their education. I want to give them perspective so I begin telling them about the “different” people who made life better for those around them and affected the future of all. It takes a change of mindset and hard work. Alexander the Great, born in 356 BC was a strong and powerful king of Macedonia, the northern part of Greece. At the age of ten, he calmed and tamed a wild horse that no other could. His understanding of not just animals but people would give him the courage to conquer the world. …literally. Aristotle was one of his teachers in his academics, which was a great contributor to how he thought about life. There were constant threats and attempts against his life because he was the successor to the throne. He had to overcome fear for his life constantly to move forward. He conquered the majority of the known world at that time and established a common language. Alexander’s joining the world together had even a greater impact several hundred years later when Christ was born. With the majority of the world joined together now with a common language, Christianity was able to spread like wild fire and bring the message of hope and peace. In 1732, George Washington was the first born of 10 children. His schooling ended in his early teens and he was not good at reading or languages. He got his first job at 16 and became a surveyor: Saved his money and eventually started to buy his own land. He became president through taking on one major job after another and advancing in skill….a lot of hard work. Now think about his health. He was very athletic, but started losing his teeth in his 20s. Through present day laser technology, his past teeth were examined and they were not made of wood, but the dentures were made from gold, ivory, lead, human and animal teeth (horse and donkey teeth were common components). Think of the incredible pain of going through a toothache in that day and age, all the way to losing a tooth, or having it pulled with no painkillers. He was only 45 when he was at Valley Forge fighting battles in the freezing cold and with frozen limbs, but became President at 57. This was someone different who worked very hard to get where he was. Abraham Lincoln, born in 1809 was poor and worked very hard on the farm as well as took outside jobs to help support the family. The family moved into the wilderness of Indiana and cleared the land to make it their own. Life was hard but made Abraham strong. There was no schooling in the area, so his mom taught and gave him books and the gift of learning and reading. His mother died in his teens and his father remarried with a woman who had three children of her own. He continued to work hard and try many different types of jobs until he decided to get into politics at the age of 25. He suffered from depression and had a difficult marriage. As he grew in ideas of right and wrong in the developing nation, he had his share of great opposition but continued to fight for what he believed was right. One of many famous sayings, “A house divided against itself cannot stand” permeates through what we do today if we want to create a strong team or ideal. Think of his trails along the way, failing to win major offices but finally becoming president only to have states secede from the union…war, the hatred against him, the failed assassinations until a final bullet killed him. Health along the way was impaired by almost drowning, being robbed and almost killed, domestic violence from his wife, dentist broke off part of his jaw while taking a tooth, without anesthesia, malaria, frozen limbs, speculation of syphilis and Marfan syndrome, and more, all based on notes from people who lived with and around him. Hard work enabled him to abolish slavery and make a huge impact on mankind and human rights. Born 1869, Mohandas Karamchand Gandhi and later named Mahatma Gandhi meaning “great soul” became the father of peaceful protest. During school, Gandhi had difficulty with math and was a mediocre student in general. He often ran home in fear of other children making fun of him. He was married at age 13 years old. He was greatly fearful of the dark and could not even tell his child bride as he tried to figure out how to be the authority in the family. He was a rebellious teen, trying meat several times, which is forbidden by Hinduism, stole money and lied. When he told his father, whom he expected to be violent, instead he wept and this changed Gandhi forever as he explained, “Those pearl drops of love cleansed my heart, and washed my sin away." Gandhi’s father died when he was sixteen years old. He tried college but struggled and did not like it so dropped out. A friend finally convinced him to go to England for a law degree so he could return to India and help in politics. He left his wife, child and family behind. On passage to England, he was shy because he did not know English well to speak it, nor knew how to use a knife and fork so did not eat with anyone. Indian friends in England took hold of him and guided his progress while there. He became a “dandy” of high society and eventually decided he disliked all the pretentious living, so ditched all the expensive surroundings, dancing and parties and got down to studying law. He decided he wanted the character of a person, not the look. Food continued to have a hold on him, testing and stopping dainties. Through this struggle, he finally proclaimed, "the real seat of taste [is] not the tongue but the mind. "—he fought for that and became more austere in his pursuits of life. Because he changed his mindset and determination to do good, he easily passed the bar and set sail for home. When he returned home, he could not find a job. Gandhi did menial tasks for his relatives and the British and grew to hate the arrogance of them. An Indian firm finally hired him to go to South Africa for a huge law case. He left his family again and in Africa, found himself, his philosophy and his following. There he met great prejudice and persecutions that would change his and millions of other lives forever. Gandhi knew he needed to change men’s minds about themselves before change could be made on the outside. Through his practice, he learned it was far better to have people reach agreements, than crushing them. He began working for compromise and rights of his people. It took decades of brutal harm on the Indian population and himself from the British. In 1948, he was shot to death pursuing peace. Gandhi often said that if cowardice is the only alternative to violence, it is better to fight. He fought hard through peace to make a difference in the world. Albert Einstein was born in 1879 in Germany. Einstein had difficulties in school, especially with his teachers who criticized him and his way of learning. “He later wrote that the spirit of learning and creative thought were lost in strict rote learning.” Without completion of a formal education, he began to write his beginning theories on the magnetic field. After restarting school several times and sitting for exams, he failed in all areas of study except physics and math. Later on, despite receiving a teaching degree in physics and mathematics he could not acquire a job, so went to work as an assistant in a patent office. After work, he constantly wrote about some of his greatest ideas. Many scientists in the field of his day openly disagreed with his theories. Continued hard work in the field proved him correct. He won the Nobel peace prize in 1921. Constant hard work and diligence toward his areas of interest and strength, Einstein is known all over for his intelligence and theory of relatively and great contribution to making this world a better place to live. Through constant hard work and perseverance, his theories proved to be correct and the past teachers who told him he was unimaginative and unintelligent proved wrong. Billy Graham, born in 1918 on a dairy farm, learned how to work hard. His father forced his sister and Billy to drink hard liquor until they vomited which created an aversion to drugs and alcohol. Now picture him giving his life to Christ at 16. How many times was he called a Jesus freak or beaten up for his beliefs? But Billy Graham kept fighting the good fight of faith to show people the love of God. He published over 30 books and was nominated the "Ten Most Admired Men in the World" from the Gallup Poll since 1948 a total of 54 times, including 48 consecutive years — more than any other individual in the world, placing him at the head of the overall list of those most admired by Americans for the past four decades. Goal in life: "My one purpose in life is to help people find a personal relationship with God, which, I believe, comes through knowing Christ." He struggled with health issues later in life he began to lose vision and hearing but his strong faith endures forever and he knows that where he is going will be the reward for fighting on here in this world. Hard work and belief in God made him different but he affected and changed the world for better through diligence and hard work. There are so many more people that could be mentioned on this list, so pick people relevant to your child. Martin Luther King, Mother Theresa, Pope John Paul, Roosevelt’s, Bill Gates, Steve Jobs, and too many to name, but in the reality of over 7 billion people in the world, the ones who made the greatest changes are few, but they were different and worked very hard to make change. Being different is a good thing and is a necessity if you want to make a change in your life, but more importantly in the lives around you. Help your child or yourself in your difference. Your difference could mean the greatest reward of all to so many. Just give them perspective. Lessons to Independence on this site for easy download and instruction.